Storage locations of hidden energetic pulses become known to all attuned to Higher Self. Fraternal/Maternal entities become connected to Gaia inner network as Pleiadean Guides begin to repopulate prior home areas. Multiple entities remain to anchor the Gaia Nova energetic grids which have been forming and now congealing. Relativistic physics is attained from all levels of Beingness, including the so-named “hu-man” lower energy realms. Flashes of insight continue to impel all Gaia inhabitants during these next weeks. Primary Inner players now take their hands in preparation for Higher End game out-playings. “Force Fields” of Light are present within the totality of Gaia, at this moment. Facades are exposed and dissolved instantaneously in the Higher Energetics influx of this moment. 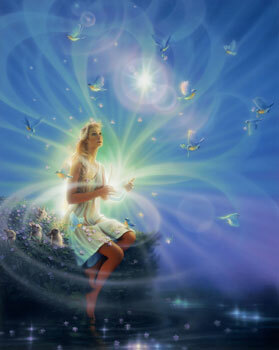 As appearances are viewed from Higher Self eyes, hu-manity awakens in the re-birth of Light BEingness. Frontal attacks are now unnecessary, and fade from sight. Linear constructs precipitate nothing, as Cosmic Exponentials influx to Gaia Higher. Streams of connectiveness permeate all Hue-manity at this now moment, and continue indefinitely.